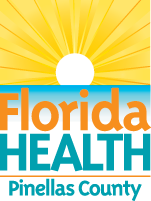 DOH-Pinellas recently received a grant from the Foundation for a Healthy St. Petersburg to support its upcoming 2017 Community Health Assessment. CHAT meeting materials from October 2016 are now available on CHAT Meeting Agendas and Materials. Pinellas County Health Profile Reports are posted under Data & Reports. Topics include Access to Care, Healthy Weight, HIV, Oral Health, Maternal & Child Health, and Substance Abuse. Health in All Policies Information is posted to our Resources Page. are posted to Resources Page. Saturday Morning Market "SNAP Double Bucks" (pdf 454kb) - this flyer explains how SNAP users can double their SNAP dollars by shopping at the Saturday Morning Market in St. Petersburg.